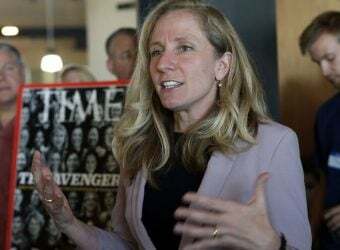 GOP Rep. Dave Brat on Tuesday said voters in Virginia’s 7th congressional district deserve to know more about Democratic opponent Abigail Spanberger’s work at the Islamic Saudi Academy in Northern Virginia. The United States Postal Service said last week it improperly released Ms. Spanberger’s personnel file and security clearance application, which contained information tied to her work as a substitute English teacher at the Islamic Saudi Academy in Northern Virginia. The school has been a longtime target of national politicians who have expressed concern about known and suspected terrorists who attended. Mr. Brat said personal information like Ms. Spanberger’s social security number and medical records should never have gotten released, but that voters deserve to know about her record. “Why does she hide this from voters? Why isn’t this teaching at [the] Islamic Saudi Terror High on her resume? And if that’s not there, what else isn’t there?” he said. Mr. Brat is running for re-election in the Republican-leaning district, which stretches from the Richmond area up near Washington, D.C.’s outer suburbs, in a race several political handicappers now say is a toss-up. 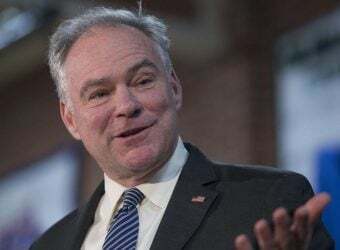 RICHMOND, Va. (AP) — Not long ago, several prominent Republicans were jockeying for a U.S. Senate run against incumbent Tim Kaine. Former presidential hopeful Carly Fiorina floated a possible run, as did conservative broadcaster Laura Ingraham. Several U.S. House members and other elected officials were unofficial potential candidates. But after a voter revolt against President Donald Trump in last year’s state-level elections saw Democrats make historic gains, interest in Virginia’s Senate seat dried up. 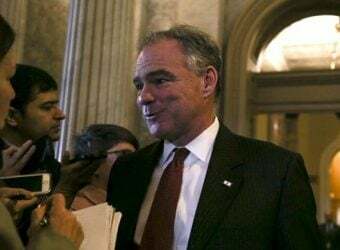 Now the state GOP is set to pick its Senate candidate from a field of three relative unknowns with limited political experience who most experts believe will have little chance in the general election against incumbent Sen. Tim Kaine. Republicans disagree on why Virginia went from a must-watch swing state to an also-ran of little national interest. For some, it’s simple math. The wealthy, diverse counties in northern Virginia are driving the state’s population growth and giving Democrats an insurmountable advantage in statewide races. “New residents are lured by red-state perks, but unfortunately, they bring their blue-state values,” said U.S. Rep. Dave Brat in a recent op-ed published in the Richmond Times-Dispatch. In last year’s gubernatorial race, Republican Ed Gillespie won wide swaths of the state’s rural areas but was swamped by a blue wave in northern Virginia. Three localities — Arlington County, Fairfax County and the city of Alexandria — accounted for 20 percent of the state’s total vote and Democrat Ralph Northam won those areas by more than 70 percent. How best to respond to Trump is an unresolved question for Virginia Republicans. In the General Assembly, many Republicans saw last year’s drubbing as a signal that it was time to move to the center. That led to a monthslong intraparty squabble over whether to expand Medicaid over the objections of the Trump administration, a fight pro-expansion Republicans recently won. Other Republicans say Trump’s unpopularity in Virginia is overstated. 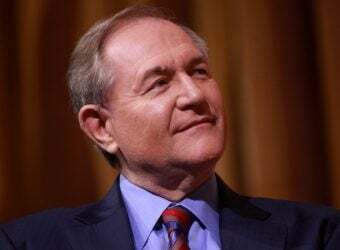 Voters may have been unhappy with Trump last year, said conservative radio host and Trump supporter John Fredericks, but only because it was too early in his presidency for his policies — like tax cuts — to have had a positive effect. He said Trump’s record will help GOP candidates running this year. “People voted on tweets; now they’re going to vote on paychecks,” he said. But other Republicans say the problem isn’t so much the math as it is the message. Former Congressman Tom Davis said Republicans have found ways to win in states that are far more Democratic-leaning — including Vermont, Maryland, and Massachusetts — with a more inclusive approach to suburban and urban voters. Virginia Republicans can’t win until they make the party more accommodating to northern Virginia voters, he said. 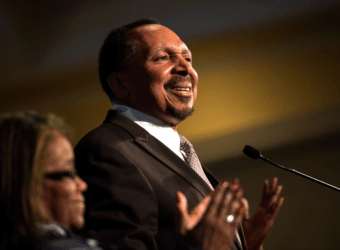 “Put it this way: Would you rather join a church that’s welcoming new congregants or one that’s chasing out heretics?” Davis said. Republicans last won statewide office in 2009, when Bob McDonnell ran on a centrist platform focused on the economy. McDonnell would have been a natural standard bearer for the party establishment in this year’s election, following a well-trod path for an ex-governor to run for Senate. But an ethics scandal involving lavish gifts from a wealthy businessman ended McDonnell’s future political career. So far in this primary contest, which will be decided Tuesday, there’s been little talk of broadening the party’s appeal and much greater focus on shoring up support from the GOP base. 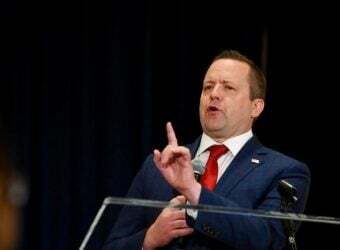 Corey Stewart is trying to run as the most loyal candidate to Trump’s agenda. An immigration hardliner and county official in northern Virginia, Stewart champions preserving Virginia’s Confederate monuments and revels in personal attacks on other politicians — Republican and Democrats alike. Nick Freitas is a libertarian-leaning two-term state House delegate who has the backing of Republican establishment wing. He’s tried to frame his candidacy around individual liberty and less so about Trump. Chesapeake minister E.W. Jackson has promised to support Trump and a socially conservative agenda. All three have struggled to raise serious money, and the winner will be at a serious cash disadvantage against Kaine, who is expected to raise about $25 million for this election. Read full report by Alan Suderman, Associated Press. Del. 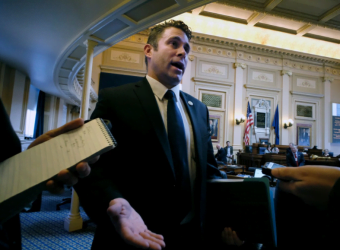 Nick Freitas, a Republican U.S. Senate hopeful from Virginia, is having a moment. 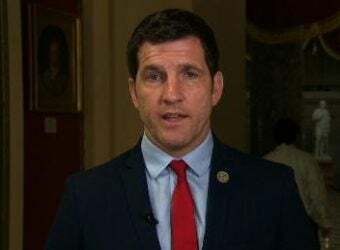 A former Green Beret with libertarian bona fides, Freitas last week gave a heated floor speech about the societal ills that he believes cause mass shootings. Along the way he offended African American lawmakers and seemed to suggest “the abortion industry” was to blame for gun violence. Democrats were left “emotionally shaken.” Republicans couldn’t get enough. 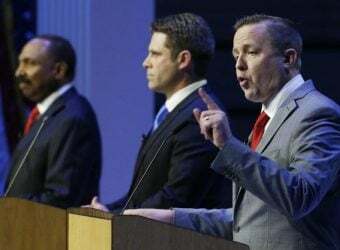 The speech helped Freitas, a little-known lawmaker, to present himself as a credible alternative to Corey R. Stewart in the primary contest to field a GOP challenger to Sen. Tim Kaine (D) in November. 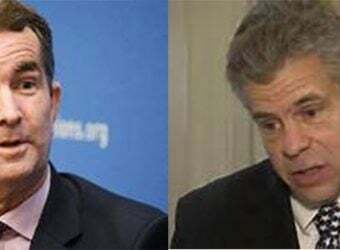 John Fredericks, host of a popular conservative radio show who was co-chair of Trump’s Virginia campaign after Stewart was fired from the post, said Freitas has a shot, but Stewart is the favorite. Anyone who runs against him has to be as aggressive as he is, Fredericks said.